As consumer preferences for potatoes become more specific, the number of potatoes that a farmer can produce of the required size can have a big impact on the value of the crop. 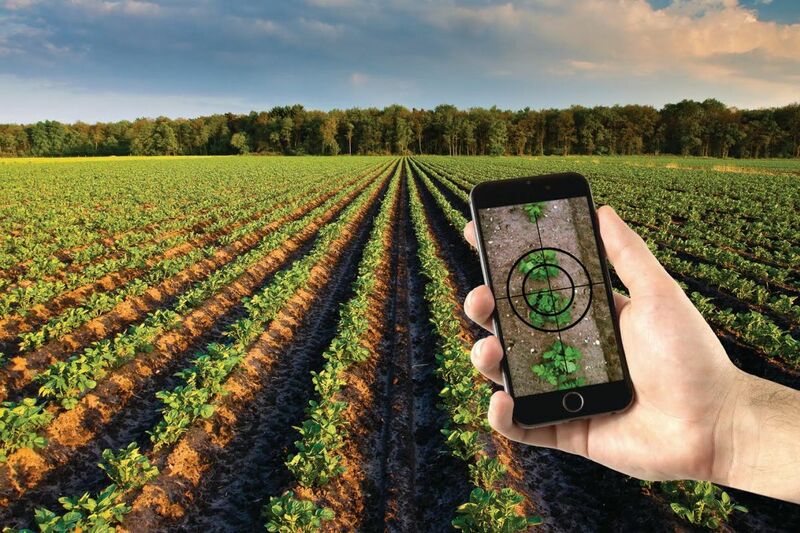 New enhancements to the NIAB CUF Potato Yield Model supported by Agrimetrics will enable farmers to get timely advice about predicted yield and crop value on their smartphones, tablets and other devices. This is one of the case studies to be discussed at the Agri-Tech East Big Data Meeting 21 March 2017. Professor Mario Caccamo is Head of Crop Bioinformatics at NIAB and part of the executive management team at Agrimetrics, the big data centre of excellence for the agri-food industry. The PYM has been developed by NIAB CUF building on a body of work that was started in the early 1980s by Eric Allen and his colleagues at Cambridge University Farm. Dr Firman, Head of NIAB CUF explains: “The Potato Yield Model (PYM) combines variety specific data and incident solar radiation with information about canopy development to predict the total yield and size of potato tubers that will be available at harvest. Over the years this data has been used by NIAB to create a robust and reliable prediction model. Until recently canopy cover was estimated using quadrats and the potato plants were repeatedly sampled to determine the size distribution of potatoes and the data recorded by hand. With the wider availability of camera phones and the increased use of aerial images it is now easier to capture canopy information that can be fed into models like the one developed at NIAB CUF. The next step has been to make this model more accessible to farmers so that it is interactive and can be used directly in the field. NIAB has partnered with Agrimetrics, to automate the process of data capture and provide instant access to the yield prediction so that PYM can be used on a smartphone or tablet in the field for example. Early access to this information supports decision making for the farmer. The parameters for each crop are stored in a secure fashion and are not shared with other users of the system. Many grower groups are choosing to use the platform to consolidate the information for the benefit of their members and this can provide useful insights. Robert Allen from potato growers GreenVale AP agrees this information is invaluable. He says: “Greenvale have been using the yield forecasting for four seasons and have considerable experience of using the output together with other agronomic data. This has been useful for both internal and supply-chain purposes. For packers that have contracts with a several growers and fulfil orders from the supermarkets, estimate of yield improves forecasting and will allow alternative arrangements to be made in plenty of time if there looks to be a short fall in supply. Additionally, PYM also gives estimates of the percentage of dry matter, which affects cooking time and is important for processing. The PYM is available to UK and international growers via “Potato Crop Management” a web-based interface offered by the NIABNetwork platform developed in collaboration with KisanHub. It is currently being used by three big grower groups and about 30 individual farmers. Agri-Tech East’s Big Data SIG: “Bring Out Your Data”, is to be held at the Lawes Innovation Hub, Rothamsted Research, Harpenden, AL5 2JQ Tuesday, 21 March 2017.